France is known for their exquisite wine and indulgent, generous cuisine. The beautiful region of Brittany is no exception. It has its own list of regional delicacies loved by both locals and tourists. Whether you have an experienced, gourmet, palate or simply want to try new things, tasting the local cuisine of Brittany is a must. 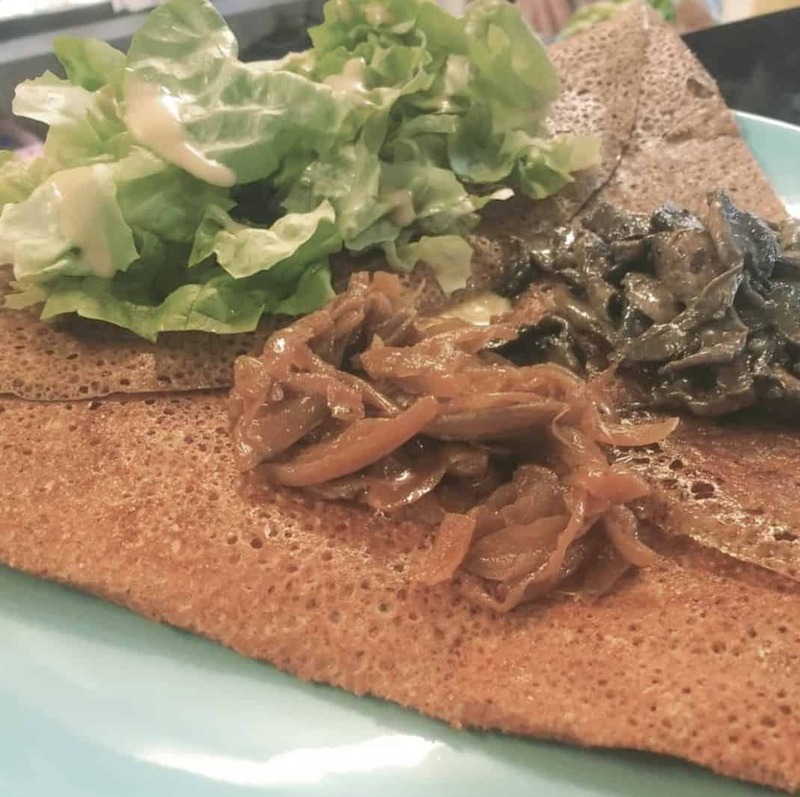 Perhaps best knows for their galettes (buckwheat pancakes) and fresh seafood, Brittany is also one of France’s key vegetable producing regions. Simply stop by a local market to see all the fresh produce on display. Good thing they have an abundance of vegetables because you will not escape butter in Brittany! Bretons are famous for their love of salted butter and it’s used generously when baking. The delicious, flaky, salty result is the perfect end to any meal. On our list of must-try dishes you’ll find: galettes, mussels (or any other fresh seafood!) and for dessert, we suggest trying either a Far Breton or the decadent Kouign Amann. Lastly, make sure to grab a bottle of locally produced Muscadet. This dry white wine pairs perfectly with seafood. You’ll find this authentic regional favorite on the menu of just about any restaurant in Brittany. It’s made with specially cultivated mussels that are small, yet incredibly flavorful and fleshy. 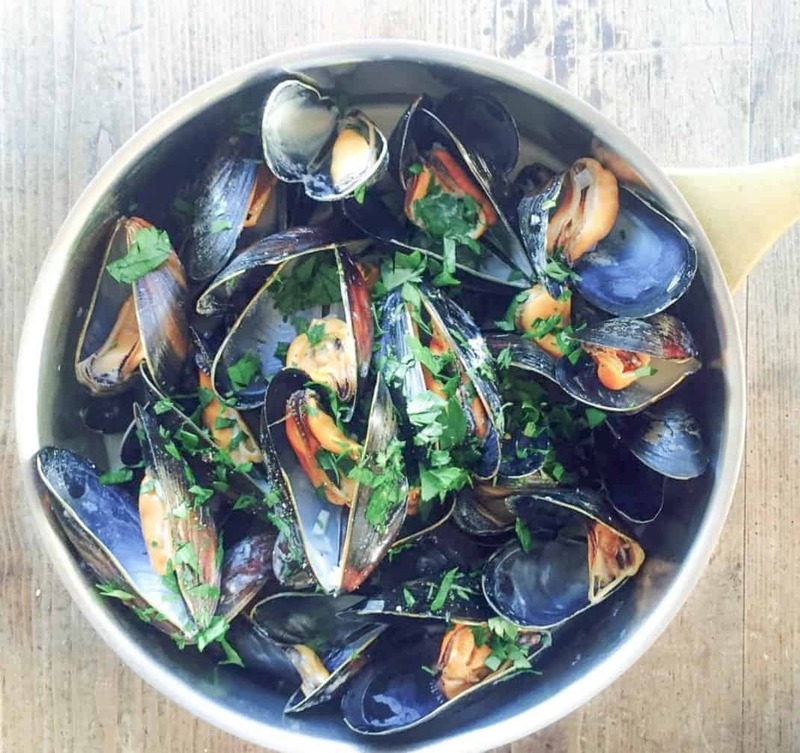 The mussels are then cooked in a mixture of French white wine, parsley and shallots. The result is a mouthwatering dish served either in a bowl or directly in a pot. Pair it with a glass of Muscadet wine. Don’t confuse the galette with it’s thinner counterpart, the crêpe. 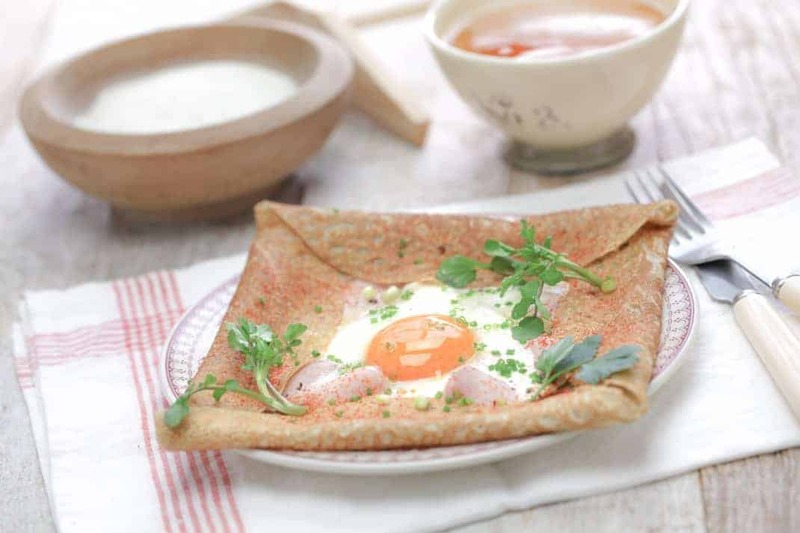 Galettes are made from buckwheat flour and are thicker and moister than crêpes. They have an almost pancake-like texture. Classic garnishes include egg, meat, fish, vegetables, fruit or even ice cream if served as dessert. No galette is complete without a glass of Breton cider to wash it down. A delicious sparkling wine made from apple juice. 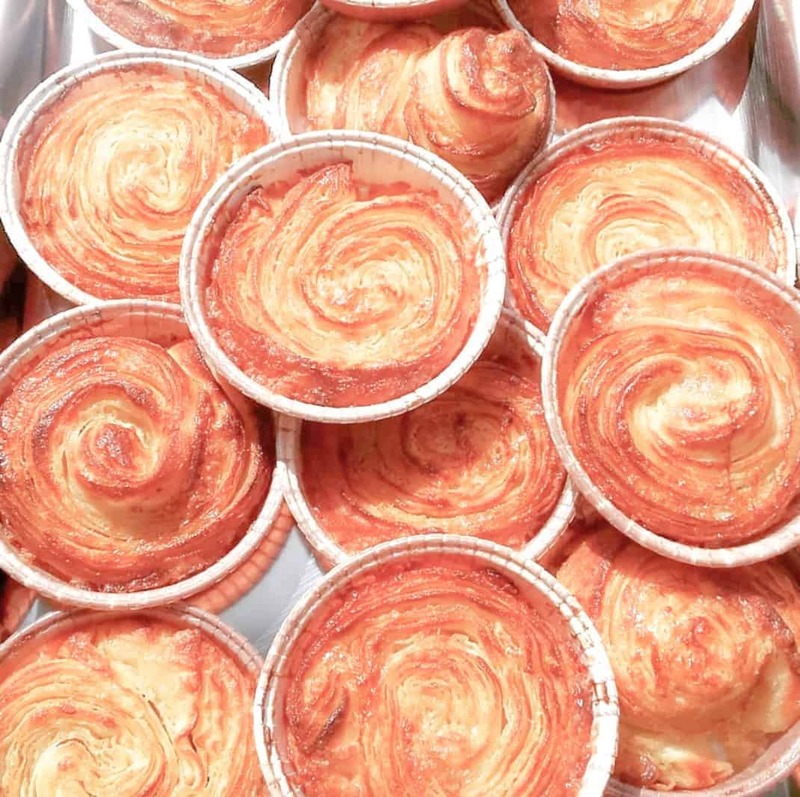 Also called French butter cake, Kouign Amann is as decadent as dessert can get. A round cake made with bread, it has layers of butter and sugar folded into it. The cake is baked slowly, allowing the dough to puff up and the sugar to caramelize. It’s similar to puff pastry, but with fewer layers. Make sure to leave room and try this classic Breton dessert! 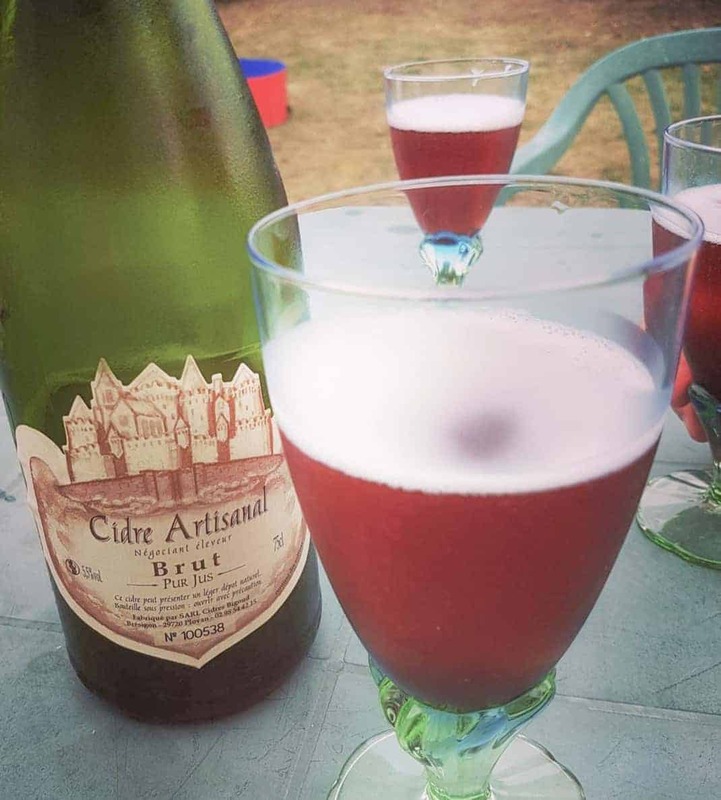 Almost 40% of France’s cider is produced in Brittany alone! Produced using locally grown apples, cider is a sweet sparkling wine. It pairs perfectly with fresh seafood or a galette. 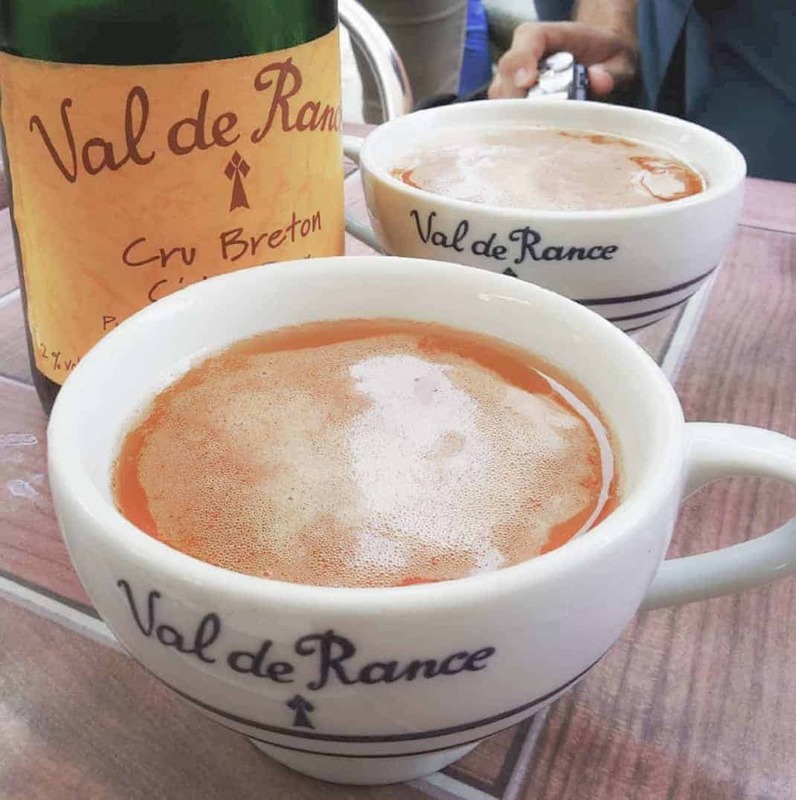 Traditional crêperie restaurants serve local cider in large ceramic cups called bolées. It’s an absolute must-try during your trip to Brittany. Muscadet is a dry, light-bodied, white wine made from the Melon de Bourgogne grape. It’s beloved in the region and all throughout France. 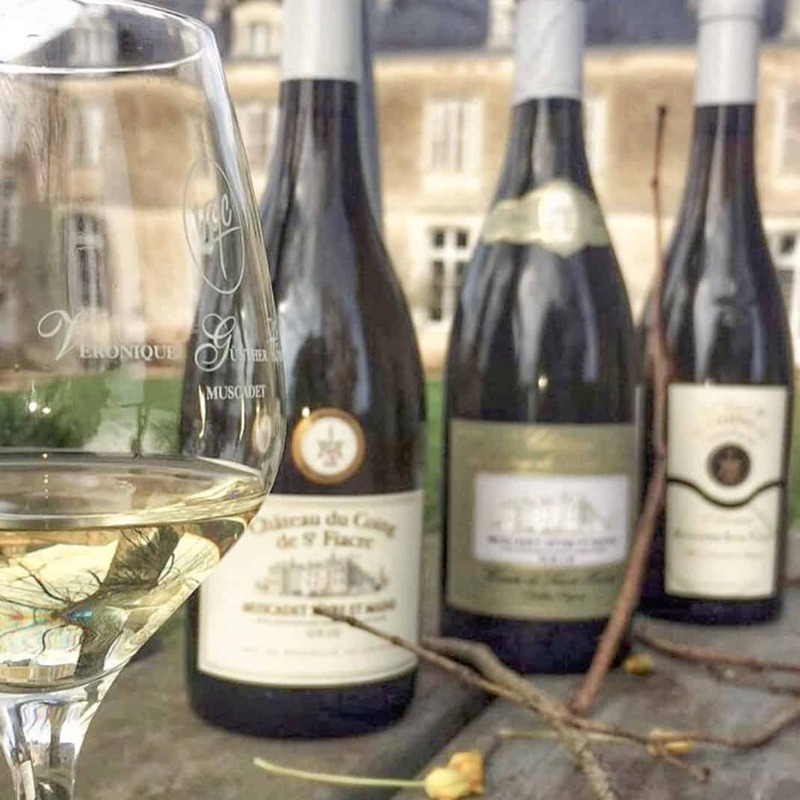 Muscadet is also a favorite of chefs as an excellent food pairing. This is thanks to its minerally, almost citrus-like taste and high acidity. Try a glass with a pot of hot mussels or a fresh seafood platter. Bretons have created their own version of the Kir cocktail, called the Kir Breton. It consists of a mixture of crème de cassis and dry cider. Sweet and strong at the same time, it’s an ideal choice to start your evening off with an apéritif before heading to dinner or for a night on the town.